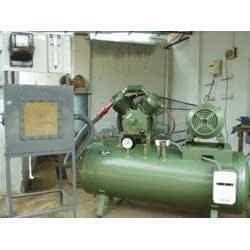 Our product range includes a wide range of single stage air compressor test rig, thermodynamics lab, two stage air compressor test rig, rotary air compressor test rig, centrifugal air compressor test rig and centrifugal blower test rig. Aiming to satisfy our clients, optimally, we provide our clients with a quality approved array of Single Stage Air Compressor Test Rig. The offered range is designed by our skilled professionals, using optimum quality raw material and latest technology in accordance with the specifications and requirements of our clients. Furthermore, the entire range is well checked against various quality parameters to ensure its quality attributes. Our offered test rigs can be avail from us at market leading prices. 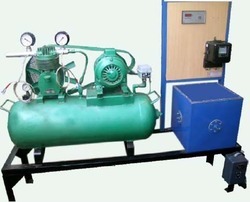 By utilizing skills of our experienced professionals, we are manufacturing, exporting,& supplying a comprehensive assortment of Two Stage Air Compressor Test Rig. This unique test rig is manufactured by professionals employing pristine-grade material and leading-edge technology. Owing to its quality features like strong design, excellent performance and corrosion resistance, this product is widely acknowledged by our clients from every nook & corner of the world. The offered product is made available in a range of customized options. 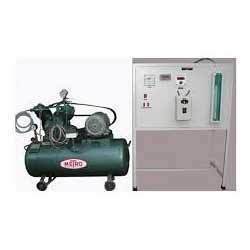 With the endorsement of our adept professionals, we are engaged in offering a qualitative range of Rotary Air Compressor Test Rig. The offered range is manufactured using optimum quality raw-material and high-end technology with the set universal standards at our end. These test rigs are checked against various parameters under the strict supervision of our quality inspectors to ensure flawless deliveries. 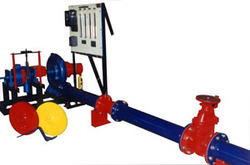 In addition to this, these test rigs are made available in various sizes and can also be customized as per various specifications provided by our prestigious clients. Driven by technically advanced facilities at our ultra-modern manufacturing unit, we are presenting an extensive range of Centrifugal Air Compressor Test Rig. Our offered range is precisely manufactured by our talented professionals by making use of cutting-edge technology and factory-tested material in compliance with set universal norms. The offered test rigs are highly demanded in the market for their brilliant features like easy installation, fine finish and industry approved design. 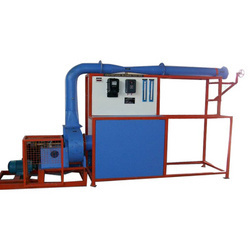 With sincere intentions to preserve and uplift our reputation in the market, we are offering a comprehensive assortment of Centrifugal Blower Test Rig. Our offered test rigs are manufactured in such a way that we are able to maintain globally accepted standards. Owing to their remarkable features, these products are largely demanded in the market. 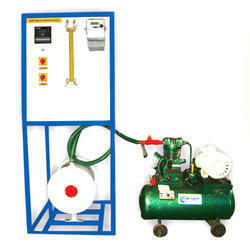 In addition, clients can avail the offered range from us in a wide range of specifications. 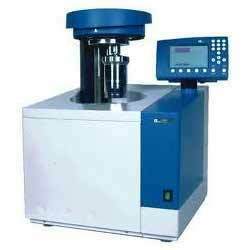 By keeping track of current market development, we are offering an excellent range of Bomb Calorimeter. Our professionals manufacture the offered calorimeters utilizing utmost grade raw material and high-end technology. Apart from this, our quality controllers perform a series of testing procedures at every stage of production to eradicate any possible defect from. Clients can avail the entire calorimeters from us in multiple specifications as per their requirements. Looking for Thermodynamics Lab ?